China is ready to counterbalance the dominance of the dollar in the International Monetary System through the yuan. In 2009, Zhou Xiaochuan, the governor of the People’s Bank of China, called for a transformation in the global reserve system; the violent fluctuations of the dollar demanded more stability and trust in the world economy. In the end, China opposed to carrying the costs of the crisis that had started at the stock exchange in New York. In the same light, the news agency Xinhua started editorial controversy in October 2013 about the world’s de-Americanisation: the irresponsible indebtedness by the Obama registration increased the ‘structural imbalances’ and thereto revealed the necessity of decreasing the power and influence of the United States. In March 2015, Li Keqiang, the Chinese prime minister, requested the incorporation of the yuan into the Special Drawing Rights (SDR). SDR are international reserve assets created by the International Monetary Fund (IMF) in the 1960s in order to complement the reserves of central banks and support the system of fixed parities established in 1944. At first, the SDR was based on the worth of 0.888 grams of gold. However, once the American president Richard Nixon put an end to the agreements of Bretton Woods in the early 1970s, SDR were defined based on a currency basket. In practice, the IMF member states buy the SDR to comply with their obligations. In other cases they sell them to adjust the composition of their international reserves. In this context, the IMF intermediates between member states and prescribed holders of the SDR to guarantee exchanges between ‘freely usable’ currencies. Every 5 years the revision of SDR by the IMF has to put the importance of its currencies in financial systems and global markets into theory. However, despite the growing role of emerging countries in the world economy, the SDR composition has remained unaltered: the US dollar maintains 42% of the portfolio, followed by the euro with 37.4%, the pound sterling with 11.3% and, ultimately, the Japanese yen with 9.4%. How is it possible that, despite the downfall of the dollar from 70 to 60% in the composition of reserves of central banks during the last 15 years, the share of power of the United States in the IMF has not been modified to a minimum? It is evident that the leaders of the Communist Party, who sustain leadership of China in the world economy, disagree. China deserves a greater share in decision-making within the IMF, as well as the integration of the yuan into the SDR. In general terms there are two criteria that decide whether or not a currency can be incorporated into the SDR. In the first place, the economy in question needs a high level of participation in global export. China absolutely complies with this requirement. In the second place, the currency needs to be fully convertible, that is, the sending country has to maintain its capital account open (which include the credit portfolio and portfolio inflows), enabling investors from the rest of the world to buy and sell determined financial assets in the considered currency and enabling the ‘free market forces’ to determine its price. In China’s case, the second aspect is the most controversial one. In 2010, in light of the 41st anniversary of the SDR, the IMF officials rejected the incorporation of the yuan with the argument that it was subject to capital control. Additionally, they emphasized that only some countries effected transactions under its denomination. Finally, they sustained that the People’s Bank of China kept the exchange rate undervalued and thereto underpinned the manufacturing supremacy of the Asian giant at the global market. The authorities of the IMF cannot conceive that, unlike the other emerging countries, the Chinese government determines when the market opens. The experiences of the financial crises in Latin America and Asia during respectively the 1980s and 1990s showed the world the terrible consequences of adopting the principles of the Washington Consensus without restraint. China, however, learned well from economic history. China had avoided successfully to fall for the provocations of the Treasure Department and the Federal Reserve System, the institutions that accuse China of manipulating the exchange rate using the IMF president as a global spokesperson. As a consequence, they insist that China open its capital account indiscriminately. Without a doubt, in the middle of the economic fragility that started at the subprime mortgage crisis, it is more convenient for the US administration to use scapegoats instead of assuming its own responsibility. All in all, the Chinese concentrate their efforts on looking inwards and gradually moving the process of financial liberalisation forward. On one hand, the incentives to participate in the Renminbi Qualified Foreign Institutional Investor (RQFII) program will increase. At the same time, the project «Stock-Connect» will be pushed forward. Since November 2014, this pilot mechanism permits buying and selling stock from businesses in continental China through the financial centre of Hong Kong. Even though it is true that private banks will have a bigger gravitation to the credit circuits, the Chinese government has made risk management a priority: the tendency to deflation (price plunge) threatens to undermine economic growth and financial stability. During the coming months China will implement a system of deposit insurance. That way banks will pay insurance premiums and a central organism will take care of administrating the money. In case of insolvency, a maximum compensation of 500 000 yuan (81 500 US dollars) per deposit will have to be paid. This measurement is necessary in order to liberalise the deposit rates and, later on, the interest rates. The aim is to expand the use of the yuan. On the other hand, it should be remembered that in 2005, the yuan broke its peg to the dollar (8.28 yuan per dollar) and reached a fluctuation margin around 0.3%. From then on, the currency’s flotation limits were increased on 3 occasions. The most recent extension took place in March 2014, when the margins settled at 2%. Although the yuan has been appreciated more than 10% in comparison to the US dollar over the course of the last 5 years, the Chinese economic muscle is strengthening itself. The geopolitical closed door policy towards Southeast Asia constructed by the Pentagon and the Department of State failed as a containment policy: China increases its trade flows and investment in Latin America and the Caribbean, North African countries, the Middle East, Europe, etc. China has even forged closer economic ties with the United States. Between 2007 and 2014 the Chinese government doubled the total amount of its importation from 62 000 to 124 000 US dollars, according to the US Census Bureau. Then what exactly are the terrible consequences of ‘commercial disloyalty’ and ‘exchange rate manipulation’ for American companies? While the United States act unilaterally regarding finances and geopolitics, China opens up by an exorbitant increase of its international trade which, by the way, is the most important strength of the internationalisation of the yuan. When China became the biggest export power, beyond the United States, in 2007, its exchanges started adopting the yuan as a substitution for the dollar. According to the projections from the HSBC, the proportion of Chinese trade denominated in yuan will increase from 25 to 50% during the coming 5 years. In October 2013, the yuan surpassed the euro as the second most used in trade finance. Through continental China, Hong Kong and Singapore as the most important emission zones, the participation in commercial loans denominated in yuan was registered at 9.43% in the beginning of 2015, which is a 30% increase in comparison to 2013. 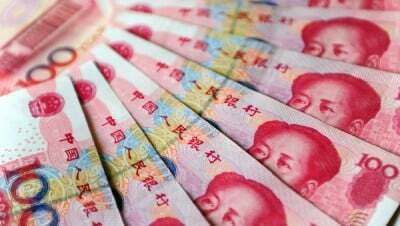 Unprecedentedly, the yuan became the fifth most used currency in global transactions, surpassing the Canadian and Australian dollar, according to a report from the Society for Worldwide Interbank Financial Telecommunication (SWIFT). Barely 4 years ago, a small group of 900 banking institutions operated in yuan. At the end of 2014, this number increased to more than 10 000 entities. According to Christine Lagarde, the IMF president, including the yuan into the SDR is imminent. However, she refuses to specify when this will happen. At the moment, when it comes to reforms in the representation system of the IMF, the United States are opposed to any change that is orientated at weakening the role of the US dollar. However, as opposed to other decisions that need a mandatory 85% approval by IMF member states, the voting to incorporate a currency into the SDR only requires a 70% approval, which makes the veto power of Washington (17.69%) totally irrelevant. Which changes will come in the field of international finance if the yuan obtains access to the SDR? The accumulated reserves in yuan would finally be recognised by the IMF; the emission of bonds and the opening of bank accounts in yuan would increase significantly. Furthermore, the decrease of transaction costs would stimulate the expansion of Chinese companies overseas. Once embedded in the SDR, the Chinese currency would exceed the relative importance of both the Japanese yen and the pound sterling. Undoubtedly, the rise of the yuan has become unstoppable. According to Massimiliano Castelli, the head of Global Strategy in Global Sovereign Markets at UBS, in 2020 the central banks reserves denominated in the “people’s currency” (renminbi) will increase to 500 billion US dollars. The debates about the incorporation of the yuan into the SDR will take place from May onwards. The voting on the Chinese initiative would eventually take place in November and the changes will become effective in January 2016. Will the United States and its allies be able to overturn the majority of the IMF member states to vote against the internationalisation of the yuan? Translation from Spanish: Thirza Toes. «Commentary: U.S. fiscal failure warrants a de-Americanized world», Xinhua, 13 October, 2013. «Half of China’s total trade to be settled in yuan by 2020 – HSBC CEO», Michelle Chen, Reuters, 26 March, 2015. «RMB now 2nd most used currency in trade finance, overtaking the Euro», SWIFT, November, 2013. «RMB strengthens its position as the second most used currency for documentary credit transactions», SWIFT, February 2015. «RMB breaks into the top five as a world payments currency», SWIFT, January, 2015. «IMF’s Lagarde says inclusion of China’s yuan in SDR basket question of when», Reuters, 20 March, 2015. «Guest post: IMF decision could propel renminbi past sterling and yen», Jukka Pihlman, The Financial Times, 15 December, 2014.